Three bedroom cottages, full kitchen, linens. On Brant Lake 200 ft private, natural sand beach. Rowboat, tennis court, shuffle board, BBQ, hiking trails, fishing. 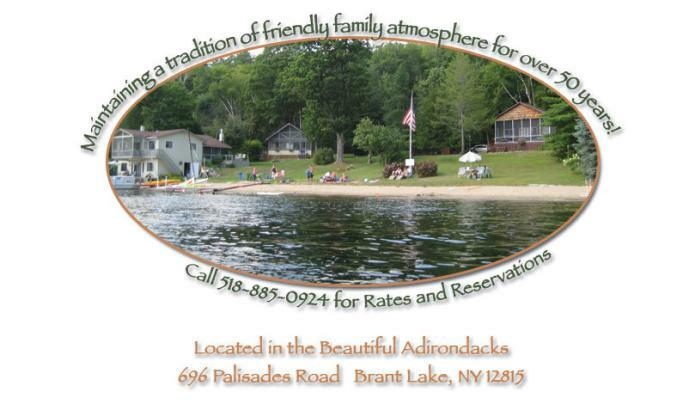 Motorboats, canoe, kayak rentals.